Undeterred, company founder vows to bring Ubuntu Mobile to the masses. As the clock ran out on the most ambitious crowd-funding campaign to date, the Ubuntu Edge “superphone” had generated $12,809,906 in pledges – a record-breaking amount that still fell short of its $32 million goal. “It's definitely set a record for the most money raised, but also for the most missed in a campaign,” said Canonical founder Mark Shuttleworth, the project’s brainchild, in an interview with The Guardian. Although Shuttleworth’s IndieGoGo fundraiser failed, he is pleased with the attention that the campaign was able to generate for his Ubuntu Mobile operating system. The Edge “superphone” – a handset that would have been so powerful that it could double as a PC – may never come to fruition. But Shuttleworth is undeterred in bringing mobile Linux to the masses. Individual technology enthusiasts made up the majority of Ubuntu Edge backers. Only one business willing to pledge funding for the much more expensive “Enterprise”-level option – Bloomberg offered $80,000 in return for 115 Edge handsets. Three unspecified businesses offered up $7000 each for the “Enterprise Starter” level, which would have given them 10 phones each. In Asia, Singaporean backers had pledged funding for 200 Edge handsets – the most for the region. Japan was second with 198 backers, followed by Hong Kong with 157. 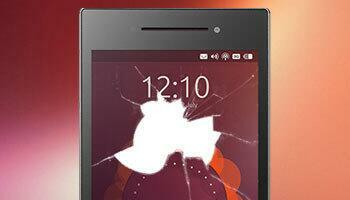 The Ubuntu Edge would have showcased the most impressive specs ever seen in a handheld device. Shuttleworth promised a minimum of 4GB of RAM and 128GB of internal storage with the “fastest multi-core processor” available. It would have also been able to dual-boot Ubuntu and Android – allowing the phone to be hooked up to a desktop monitor, keyboard, and mouse to create a fully functional desktop. IndieGoGo has promised to refund 100 percent of the money raised. Some backers are disappointed that the Edge is dead in the water – but others are realizing that it may have been an unnecessarily frivolous idea. This “superphone” would pack 4GB RAM, 128GB storage, and double as a desktop computer.